This recipe is perfect for those busy week-night dinners, inspired by all that is green and wonderful in the world! When I was younger, we had a rule in our house that you weren’t allowed inside the house between 2pm until 5:30pm, not unless the sky was falling down. I’m slowly learning that this was the furtherest thing from a punishment, but rather an enormous blessing. My older siblings and I LOVED being outside, it was difficult to get us inside – we were children of the Earth. This meant that we had our yearly allotment of vitamin D over one week and were in excess well into our teenage years. In saying this, my nature was very much defined by a park with monkey bars and a slide and not the rough and tough natural wilderness that grows where it pleases. 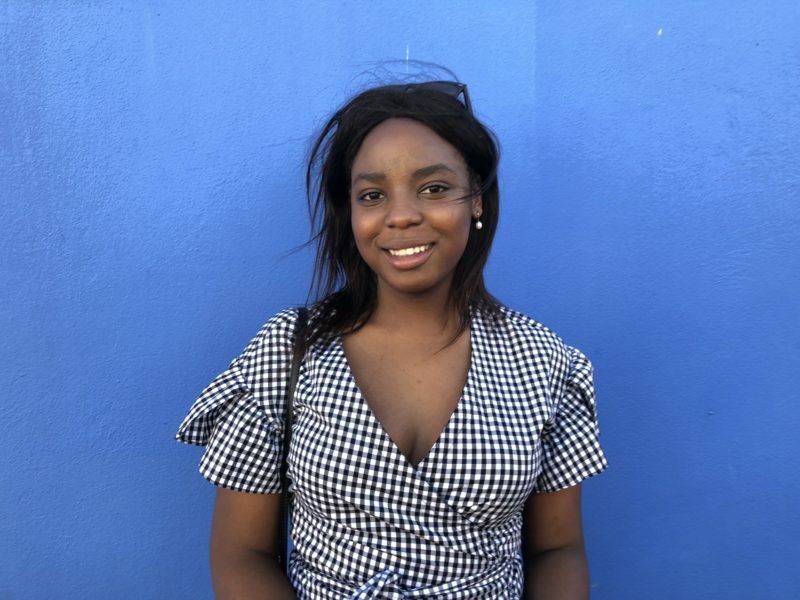 Recently, I’ve made it my mission to spend at least three afternoons a week outside appreciating nature – increasingly load shedding has made that much easier. So here it is inspired by all that is green and wonderful; my GREEN is nature Pesto Pasta, I hope you enjoy! As simple as this dish may seem, there’s just something about pesto and pasta that leaves you incredibly satisfied. The balsamic tomatoes and mushrooms are certainly the cherry on top of this good old fave! 1. Dry roast the cashews in a saucepan until they a brown, being careful not to burn them. 2. With a pestle and mortar (herb grinder), grind the roasted cashews, basil leaves, spinach leaves, salt, lemon, garlic and olive oil until it is a pesto consistency. 3. Heat a pan on low-medium heat and layer the tomatoes face down, sprinkle with salt and let simmer until softened. When soft, increase the heat and our balsamic vinegar over the tomatoes and mix. 4. Put the balsamic vinegar tomatoes in a bowl. 5. In the same pan, pour out any excess juices and place back on the heat. Add a splash of olive oil, the mushrooms and salt and cook until softened, add a table spoon of the pesto and mix until it is well coated. 6. Add to the mushrooms to the tomatoes and mix. 7. Bring a pot of salted water to boil and cook the Happy Earth People Pasta according to the package. 8. When the pasta is cooked, drain and reserve a mug of cooking water. 9. Add the cooked pasta, tomatoes and mushrooms, pesto and some pasta water to your pan and mix until well combined and warmed. 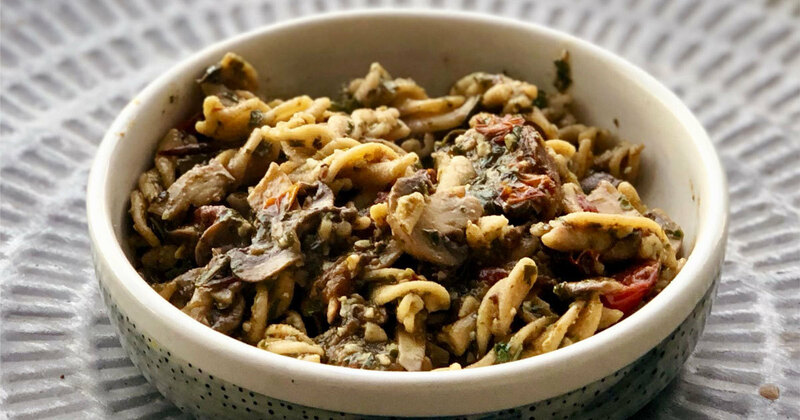 This entry was posted in Mushrooms, Recipes, Uncategorized and tagged Gluten free, Happy Earth People, load shedding, pesto pasta, pesto pasta recipe.